When Thea Pratt goes to work as a train driver on the Sydney train network, she enjoys the solitude and long silences. As a mother of four young children, she also appreciates the opportunity to reflect. “I enjoy hours on my own; I’m an introvert. From a Christian perspective, my gift is prayer. It always has been – and hours on my own gives me that time. 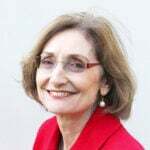 I don’t have to search for it, so for me that’s very helpful,” she tells Eternity in her family’s home in Chester Hill, in western Sydney. 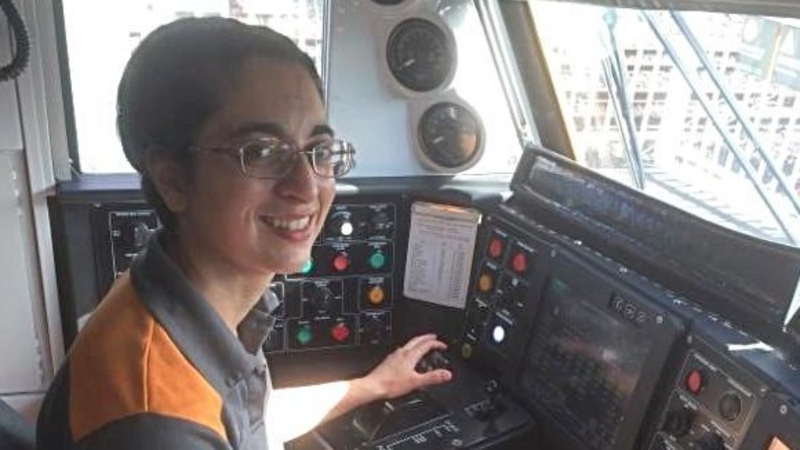 As a train driver, Thea earns a high salary – a recognition of the nature of the shift work, and the challenge of controlling a large and complex piece of infrastructure such as an eight-carriage train that can hold up to 2000 passengers at a time. ► Does this guy have the best job in the world? 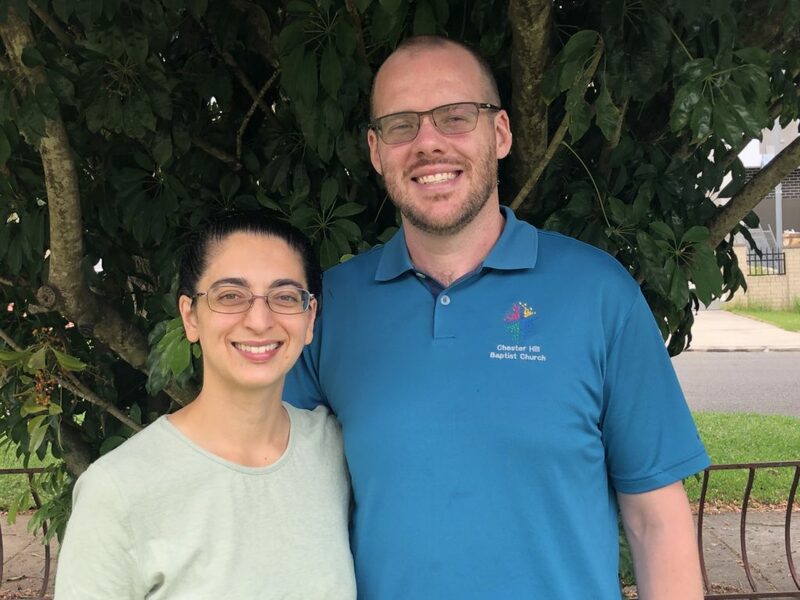 Both she and her husband Ben are grateful that Thea’s salary provides financially for their family and in doing so gives Ben the freedom to be the man of God he feels called to be – working part-time as pastor at Chester Hill Baptist Church and looking after their four children. The Pratts recognise that their domestic and working arrangements are counter-cultural in the church and therefore confusing for some people who expect a pastor’s wife to be available for free pastoral work. “While church leadership here is very supportive, it’s been a culture shock for them, as it has been for many others. To say that I’ve faced opposition about our position would be fair,” says Ben as we sit around the dining table in their humble fibro home, with the children occupying themselves in a back room. For his part, Ben has knocked back offers from his church leadership to be paid full-time, which might otherwise allow Thea to stay at home, preferring to use anything extra in the church budget for mission, building works, community engagement, and contingencies such as the national redress scheme. Thea and Ben Pratt in the front yard of their home at Chester Hill, western Sydney. Another reason Ben doesn’t want a full-time time position is to avoid the common trap pastors face of being financially bound to their church, for good or ill, with the “dark risks” of burnout if things turn toxic. The fact that Thea’s income is enough to support them if he needs to step away from the church is “incredibly freeing for us.” He makes the point that a church may keep on a pastor who is unwell or burnt out to spare the family significant hardship. On top of this, Ben is the first to admit he could never be a traditional pastor because he lives with Aspergers syndrome, as do all of his children. This means that, even though he’s an extrovert, he can’t hold back-to-back events, see 40 people a week or conduct a kids’ camp without having a meltdown and needing recovery time. He simply can’t afford to say, as so many pastors do, “I’m all in,” without bearing a significant personal cost. These aspects have all combined to bring the Pratt family to the place where they are now, Thea working rotating 24/7 shifts while Ben is paid part-time and working flexible full-time hours, sharing household duties, and Ben acting as primary carer for the children. It’s a different way of life, a different model of family ministry but, for the Pratts, they wouldn’t have it any other way. PSA: I didn’t get angry at my train today!